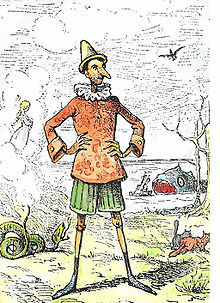 (Illustration: ‘Pinocchio,’ by Enrico Mazzanti (1852-1910), found here). Quietly wet this Sunday evening on California’s north coast — rain-showers and clouds all day, and although maybe a little undramatic, getting soaked is still no fun. Some real-foul weather though, down in the LA area, and along the Central Coast with heavy rain, mudslides and wind. “On the 15th we have now set the table beautifully because everybody knows what’s going on because of the shutdown,” Trump said. President Donald Trump’s arguments for a border wall at the U.S.-Mexico border generally center on two themes: the dangers and costs of immigrants. The overall number of people caught at the southwest border is not at historic high levels. During Trump’s time in office, overall apprehensions have been below 400,000; there were more than 1.6 million apprehensions in fiscal year 2000. Illicit drugs mostly enter through legal checkpoints, not in between points of entry. Several studies also say that immigrants (regardless of immigration status) are not more prone to crime than native-born Americans. Trump regularly contends that immigrants coming in illegally will increase crime in the United States.